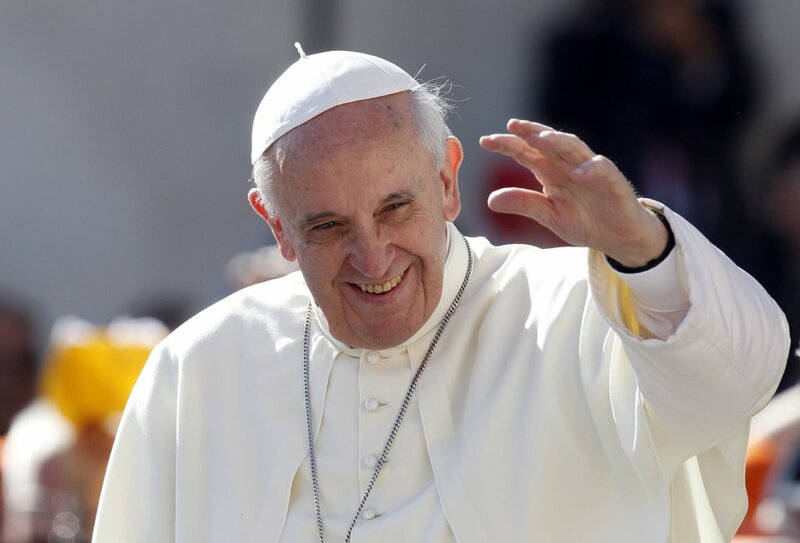 VATICAN CITY (AP) — Pope Francis convenes his parallel cabinet on Tuesday for a first round of talks on reforming the Catholic Church, bringing eight cardinals from around the globe together in a novel initiative to get local church leaders involved in helping make decisions for the 1.2-billion strong universal Catholic Church. While the aim is for Francis to get advice, the Argentine Jesuit has already started making a mark on his own, with important Vatican appointments already made and clear-cut indications of the direction he wants to take the church that have elated liberals and alarmed many conservatives. Francis' recent interview with a Jesuit journal, in which he called for more balance between the church's rules on issues like abortion, homosexuality and contraception and the need for it to be a more welcoming, merciful place for all, has become the must-read mission statement of his papacy. It's unclear which of those issues feature in the 80-odd documents that will be considered by the pope and his so-called "Group of Eight" cardinals meeting behind closed doors this week. One core agenda item is certain: overhauling the Vatican bureaucracy, an antiquated administration that is universally disparaged as unhelpful to both the pope and the bishops it's designed to serve. The scandal over leaked documents last year showed the Vatican bureaucracy to be a dysfunctional warren of political infighting and turf battles, fueling calls for reform from the cardinals who elected Francis pope. Beyond the scandal, local church leaders have long bemoaned that Vatican courts take years to process requests for annulments and that Vatican offices are simply unresponsive to requests from them and lay faithful. Francis himself is a critic, frequently telling Vatican officials to be more pastors than bureaucrats. Just this weekend he told the Vatican police force that it was their job to stop the "devil" from creating internal wars through Vatican employees spreading gossip. "It's a war that you don't fight with weapons, but with your tongue," he said. How the pope's chosen cardinal cabinet will interact, if at all, with the existing Vatican cabinet is a topic for much speculation among Vatican watchers. The Curia is organized according to a 1988 document "Pastor Bonus," which metes out the work and jurisdictions of the congregations, councils, courts and other offices that make up the governance of the church. Honduran Cardinal Oscar Andres Rodriguez Maradiaga, who heads the pope's advisory commission, said the planned reform won't just make a few changes to the document. "No, that constitution is over," he told the Catholic channel Salt and Light Television. "Now it's something different. We need to write something different. But it's not going to take one month or two months." Indeed, no decisions are expected this week from the talks, and the pope has said reform takes time. That hasn't stopped reform groups from pinning their hopes for a more progressive church on Francis and his council of cardinals, who hail from North and South America, Africa, Asia, Europe and Australia. The worldwide church reform group We Are Church has written Francis asking for greater say among lay Catholics about the selection of bishops and for church officials to be removed from office if they mishandled cases of sexually abusive priests. "Our fondest hope is that Pope Francis will accept a delegation of our leaders at the Vatican," organizer Rene Reid said in a statement. "He has been reaching out to atheists, gays and others. He wants dialogue. We want that too." Conservatives and traditionalists, however, have reacted with dismay and downright alarm at the direction Francis has taken, particularly in the interview with the Jesuit-run La Civilta Cattolica, in which he bemoaned the church's obsession with "small-minded rules." American canon lawyer Edward Peters suggested that Francis wasn't referring to abortion in rejecting such rules, but rather more superfluous ones like the one dictating who can march under the flag of certain religious societies on feast days. Conservative commentator George Neumayr went further, writing in The American Spectator that Francis was in sore need of "correcting." Francis' "culturally conditioned liberalism threatens to undermine the unity and orthodoxy of the faith," he wrote.